Eric Dier moved to Portugal when he was just 10-years-old. 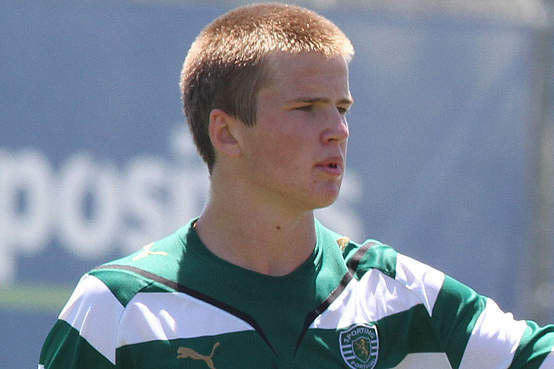 Chelsea have been tipped as the favourites to sign Sporting Lisbon’s English-born centre back Eric Dier. The 19-year-old was recently called up to the England Under 21 side for their friendly against Scotland last week. He regularly appeared for Sporting last year but has a £4.2 million buyout clause that has tempted a lot of European clubs to his signature. He made his debut in November 2012 and since has retained his place in the side as he appeared 14 times for the Portuguese giants last season. Dier was born in England but moved to Portugal when he was 10-years-old as his mother got a job in the western Europe country during Euro 2004. He was part of Peter Taylor’s FIFA U20 World Cup squad this summer, in which England exited at the group stages. He has previously moved on loan to Everton but failed to make enough of an impression to break into the first team. ITV are reporting that Spurs are the frontrunners in the chase for the youngster, with Fulham also preparing a bid.